Deep rose pink frilled petals with blush pink centres. Unforgettable need open porous soil in gardens in full sun. They like neutral pH so an application of Dolomite before planting is beneficial. Good drainage is a must, they will not tolerate wet soils. Older flowers need to be removed to allow the buds that are continually developing to swell and come out. They stand dry conditions very well but if exceedingly dry give a deep watering from time to time. 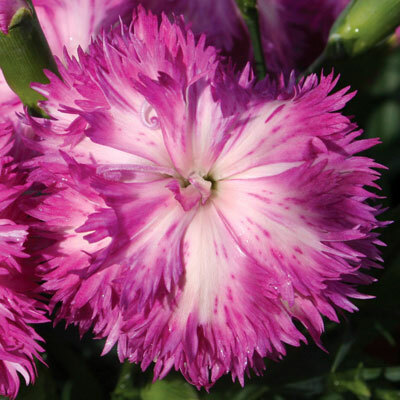 If conditions are met as described above Unforgettable like all Dianthus is relatively immune to any real problems.